Luxury private transport services are easy to get a hold of in London. But when it comes to luxury multi-head service providers, there is only a handful whom one can count on. Champion Coach Hire inaugurates their Luxury minibus hire services and solutions to cater to this demand. This brings a sigh of relief to all business and executive travellers in London, as they have a striking record of being one of the most in-demand transport service providers. As the spanking new Merc minibus draws up at the Milestone, the driver gets an offer to indulge the typically big fat wedding but amiably declines. There’s another pickup within an hour at the Beaumont. Meeting a group of 5 delicately attired, it’s all about putting on that congenial smile, taking them safely and privately to a location yet to be disclosed. For Champion Coach Hire, their luxury minibus hire services are already hitting the highest notes. “We’re overwhelmed by our success, but we know there’s a long way to go for us. Sustaining this is more difficult than we ever thought. Our clients are just too kind.” – A candid from the Managing Head. With an idea to instill luxury in group transportation, or group transportation services with luxury add-ons, “But we will stick to minimal budgets to cater to the masses instead of celebs.” - adding on from before. For any average Londoner not accounting for the numerous alleyways, London is easy to travel across. But only if an individual has a proper idea about its plentiful public transportation. That said, London is a maze, something only the oldest cabbies know well. And it is ever-changing and ever-crowding. Public or even private transportation is nonchalantly simplistic. But travelling in groups is not. “We are trying to make transportation in groups through London irrespective of the destination and timings as easy as possible.” – says the PR executive about the company motto. Providing accommodation and transportation solutions for a head count above 4 is what Champion Coach Hire wants to excel at. “There are many service providers around who can provide a Jag, a Merc or even a Martin. But providing high-end luxury options while accommodating 8 heads is where we come in.” Luxury is a parameter which rarely finds its way in multi-head transportation solutions. Higher head counts come in especially in case of events. Offering high-end luxury coach hire services is where they’re taking their services to another degree. Coaches can accommodate as many as 80 individuals at one go along with individual multimedia entertainment options, AC, Wi-Fi, Dining Setup – in short, any and every amenity possible. “We want to make this niche market section ours. Decking up our offerings with state-of-the-art technology and add-ons is only a small part of things. We look to extend our client-end services beyond.” – comments their administrative head. 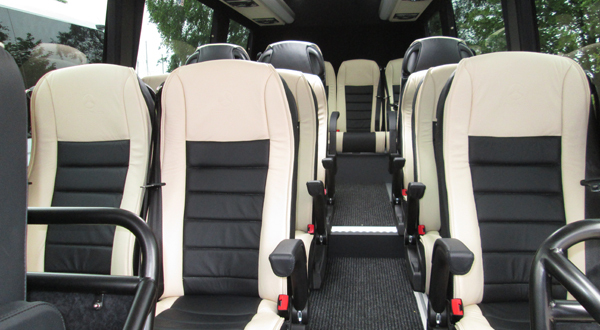 These luxury coach hire services are niche from every single aspect. From the client’s end, the only pre-requisites include mentioning pick-up and drop-off details along with the time specifics. “For the duration hired, our transportation is yours and you’re our responsibility.” – A typical propaganda from their PR. For the drivers though, it’s a tough ask. “We’re providing a 5-star service which is just what makes it worth it.” As far as Champion Coach Hire goes through, their luxury minibus hire services, literally, does look to go places. Champion Coach Hire exclusively offers top-end but affordable-for-all group transportation amenities across Greater London. 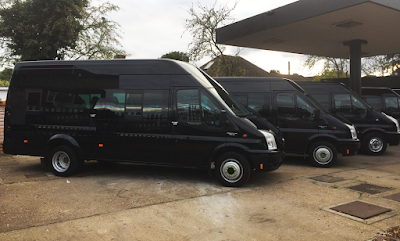 One of the few service providers to bring luxury minibus hire services, they’re offerings include state-of-the-art benefits while sticking to affordable pricing structures. Moving around London alone is easy. Cabs are aplenty. There’s a Tube round the corner throughout London proper. But what if you need to get your colleagues across for a convention up in a hotel? Or what if you need to take 60 people from your family for that wedding coming next weekend? Cabs are out of question. You’re not thinking about going there on a bus, that’d be awkward. This is just where cheap coach hireservices can help you out. Point A to Point B with everything under the same roof and on the same set of wheels together, this is just the transportation solution you need. Here’re a few tips to help you get the best out of it! Summary: Champion Coach Hire is holding a steady position on the list of holidaymaker’s favourite transport for the two clear facilities. They provide top-notch amenities along with a marginal rate. This is one of the major reasons why Coach hire London is gaining seamless popularity. It is easily affordable by travellers or citizens looking to move to multiple locations with utmost comfort. Body:TheUnited Kingdom, 16th June 2017: Champion Coach Hire came with affordable coach hire London rates for both holiday makers and natives who are looking to travel around London. This scheme of keeping the rates low has been a tremendous advantage in the transport sector. With marginal charges and high facilities, Champion Coach Hire is seeing some victorious profit rate since the last summer. There has been a steady growth of 35% more even after keeping the rates low. This was also possible with the high demand for their service in different parts of London. Summary:Champion Coach Hire has recently reduced their prices of 12 seater minibus hire service in the UK. A renowned name in bus hire service, this company has also added new vehicles to their fleet to serve the widespread customer base in the UK. With their extensive options at affordable prices, they have become the most sought after ‘friend on the road’ for many customers today. Body: TheUnited Kingdom, 16th June 2017: With the increasing demand of minibusses in London presently, Champion Coach Hire has recently announced their price drop in a conference. The company has made the rates affordable for their 12 seater minibushire service. “We took this decision to enhance our customer’s satisfaction. Our clients have expressed their concern regarding the hiring prices, following which we reduced the rates. As always we have promised, we are ready to take every measure for serving our customers. Their satisfaction comes foremost,” said a top management official.